Convert any image file into GIF. Editing GIF files: resize/rotate, watermark adding, extracting image fragment, adding frame. Conversion in batches: you can make a multi-conversion of many files at a time: convert as many files as you need within one command. Conversion from the command line: using program functionality from the command line. 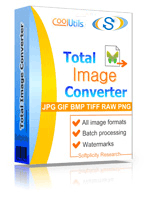 With the help of Total Image converter you can convert images in full accordance with your wishes for image look. You can change its size, paper format, orientation, color palette and compression level and even transparency. For more convenient selection of source files you can view your memory folders content directly in the program, using one of two modes: file table or thumbnails. If the folder contains files of different formats, you can filter them by specific file type, selecting it in special drop-down menu, located in top right corner of program window. In such a way you can filter GIF files from the rest and convert them if needed. 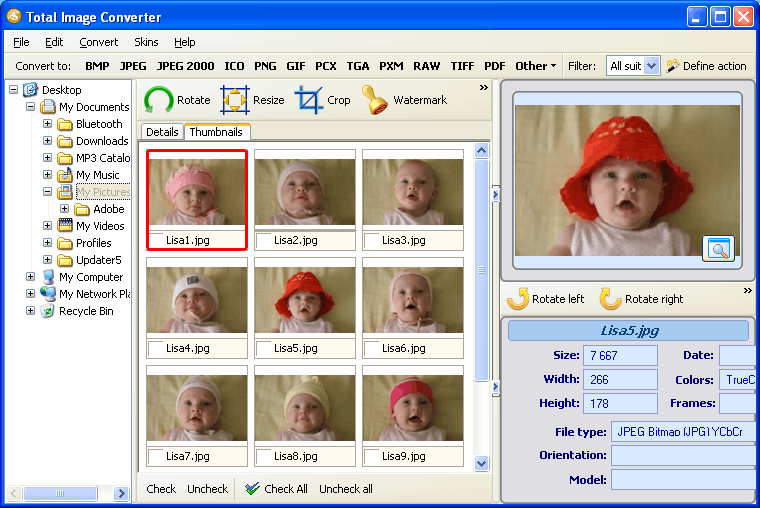 Batch image converter feature implies that you select more than one source file, make settings only once for all source files and convert them all in one command. It is helpful when you need to convert many files and have little time for this. 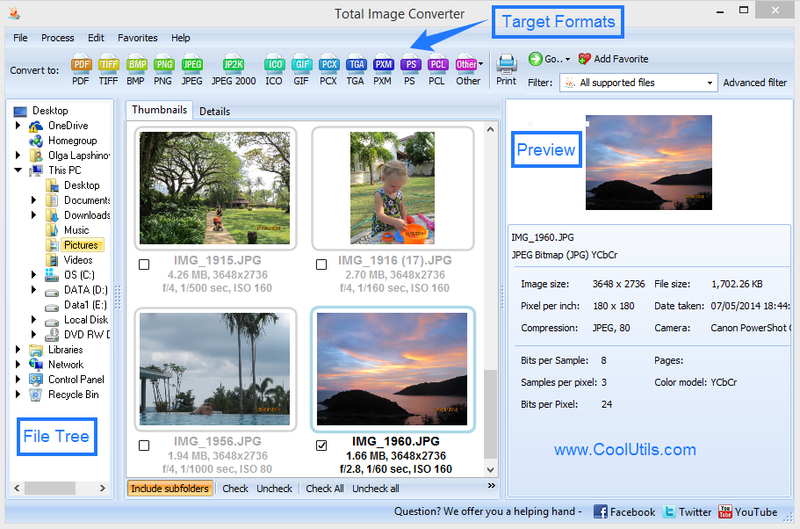 As you see from the review, Total Image Converter is handy and functional GIF converter and editor. Functionality is combined with easiness in use, and this is exactly what all users require! 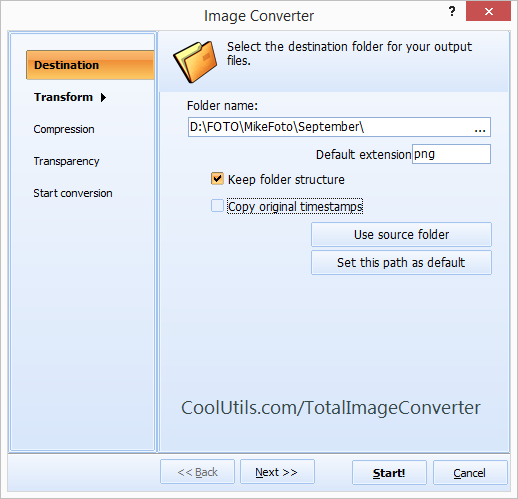 Total Image Converter is ready for converting your images. Download it now. Convert GIF to PCX professionally.